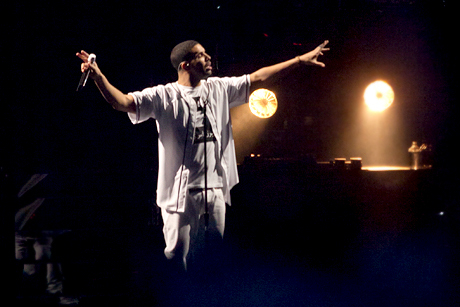 Drake put Toronto on his back yesterday with the fourth annual OVO Fest. With an unprecedented amount of guest appearances, the event yesterday was one for the ages. The event was supposed to be a two-day event with Frank Ocean headlining the first night and Drake with the second, however due to a vocal strain, Ocean had to pull out and the first night was cancelled. It was all up to Drake to deliver and he did. Bringing out a star studded lineup of A-List rappers including Kanye West, P. Diddy, Mase, Lil Wayne, J. Cole, A$AP Rocky, French Montana, Miguel and The Weeknd. Drake also even brought out the remaining members of TLC to perform Waterfalls and No Scrubs. For those who think they have to wait another year for another Drake show, he comes back to Toronto on October 24 at the Air Canada Center. With OVO Fest, Caribana and various other parties going around in the city, this was a weekend to remember.